If you’re a fan of Supernatural, chances are you’ve found yourself browsing Tumblr late one night, realizing you’re not alone. 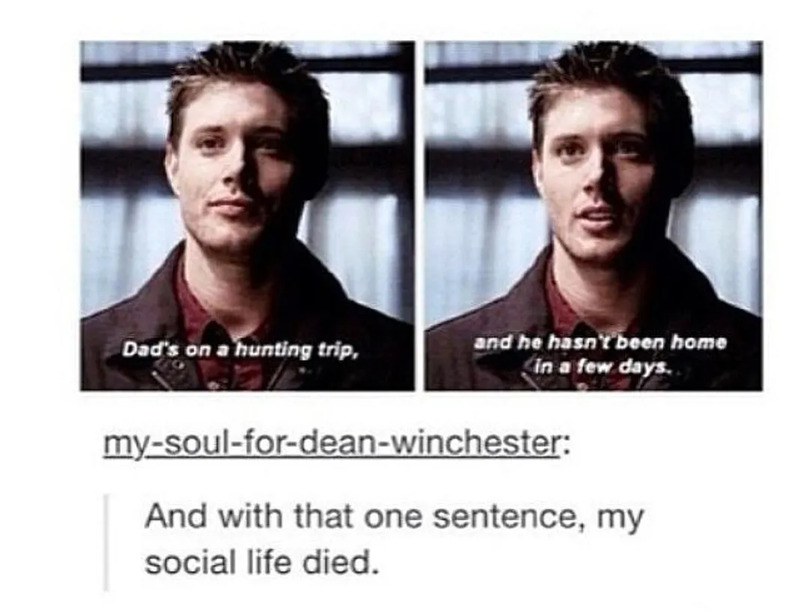 There are many people out there just as obsessed with Supernatural as you are. Actually, if you’ve spent more than 20 minutes on the #spn tag on Tumblr, you’ve come to the realization that there are a lot of people who are way more obsessed with Supernatural than you. That first episode is a doozy! *We make time for this. Could You Be A Hunter On 'Supernatural'? Who Is Your 'Supernatural' Husband?